Today I spent 3 hours disassembling and prepping all the surfaces for primining. 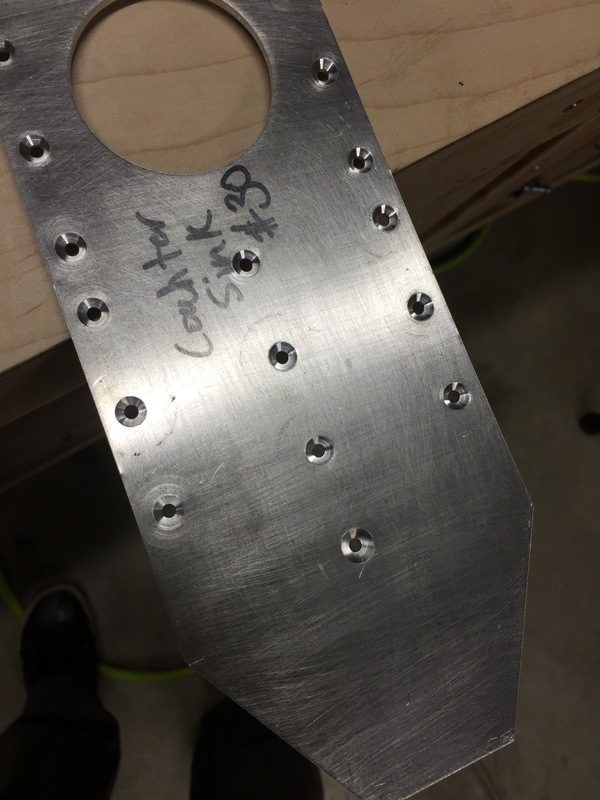 Here you can see the dimples on the vertical stab skin, these will accept the flush rivets that attach the rear spar to the skin. Here’s another view of the dimples, these were all reached with the DRDT-2 dimpler. Super easy to use and very quiet. 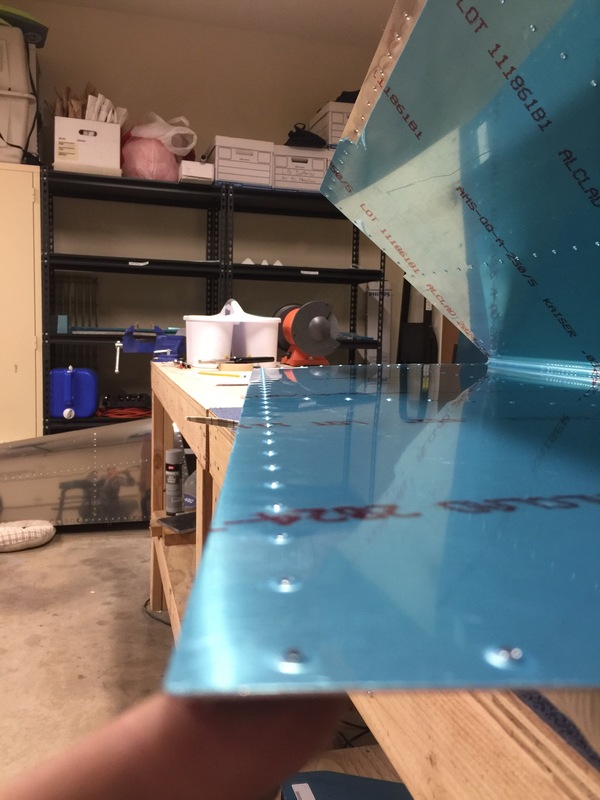 Here you can see the counter sinks for the rear spar dimples, this is necessary because the front side of the spar will sit flush against the rear fuselage bulkhead. 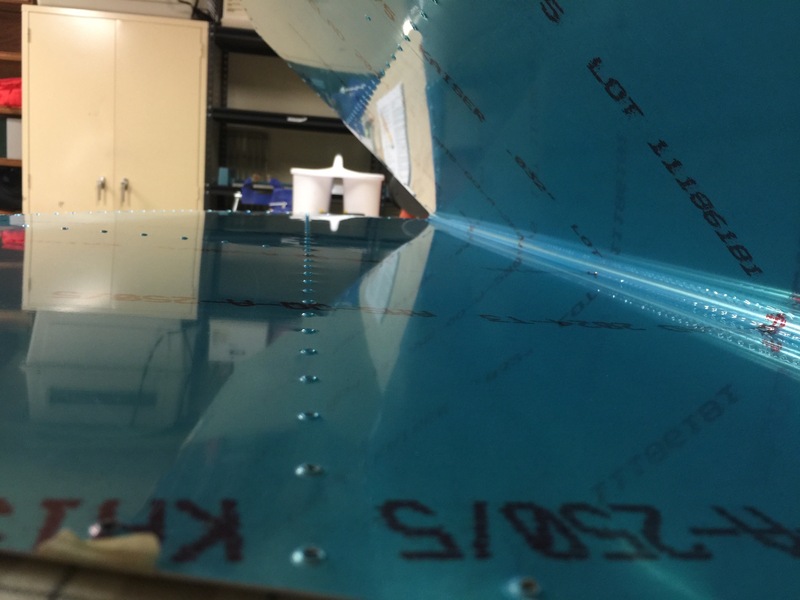 You can also see the surface prep for the primer, this was done on all internal components and the interior of the skins along the rivets.